What Causes High Diastolic Blood Pressure? Based in Houston, Texas, Dr. Mary D. Daley has been writing and editing health and medicine articles for more than 20 years. Daley holds an MD degree, as well as an MSc in biomedical writing. She is also a board-certified anesthesiologist in the United States and Canada. High blood pressure is a growing problem in America. 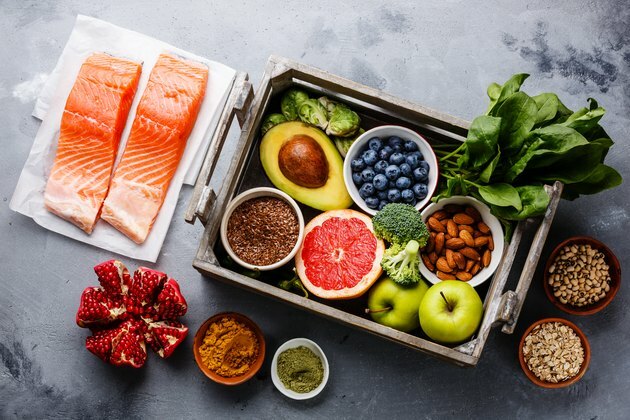 In fact, one in every three adults in the United States — about 75 million people — has high blood pressure, or hypertension, according to 2016 estimates from the Centers for Disease Control and Prevention (CDC). In most people with high diastolic blood pressure, no specific cause has been identified. But less commonly, diastolic hypertension is secondary to another disorder such as a thyroid problem, kidney disease or sleep apnea. What Qualifies as High Blood Pressure? Blood pressure consists of two numbers — a top (systolic) and bottom (diastolic) number. Thus, there are three types of hypertension. High diastolic blood pressure — called diastolic hypertension — occurs when the bottom number is above 80 mmHg. High systolic blood pressure — called systolic hypertension — is present when the top number is above 130 mmHG. Mixed hypertension occurs when both numbers are high. Isolated diastolic hypertension (IDH) is primarily seen in younger adults. In most people with IDH, no specific cause has been identified. This is known as primary or essential hypertension. Less commonly, IDH is secondary to another disorder such as a thyroid problem, kidney disease or sleep apnea. Diastolic pressure is the force exerted by the blood on the walls of arteries as it flows through these blood vessels between heartbeats. In IDH, the diastolic pressure is generally elevated because tiny arteries, called arterioles, in the body are narrower than usual. This compresses the blood flowing through the arterioles, thus raising the pressure. In IDH caused by primary hypertension, the underlying reason for the arteriolar narrowing is not very well understood. 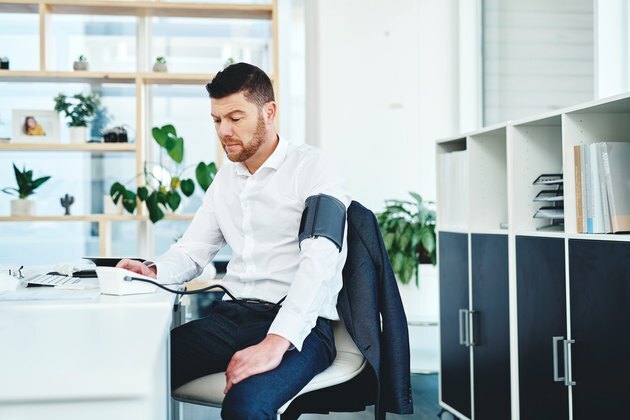 Unusually high levels of certain substances that raise blood pressure, such as angiotensin, or inappropriate contraction of tiny muscles in the arteriole walls are two possible reasons. Genetic factors may also contribute. An underactive thyroid, or hypothyroidism, is one of the more common secondary causes of IDH. As in primary hypertension, the elevated diastolic pressure is the result of excessive arteriolar narrowing. Hypothyroidism may be suspected in a person with weight gain, fatigue and intolerance to the cold, but blood tests are required to confirm the diagnosis. Endocrine diseases producing high levels of aldosterone, parathyroid hormone or corticosteroids can also cause IDH. Most diseases that damage the kidney can lead to IDH by reducing the ability of the kidneys to remove fluids from the body or by increasing the production of angiotensin. Renovascular hypertension, due to narrowing of the main artery leading to the kidneys, is another possible cause of IDH. 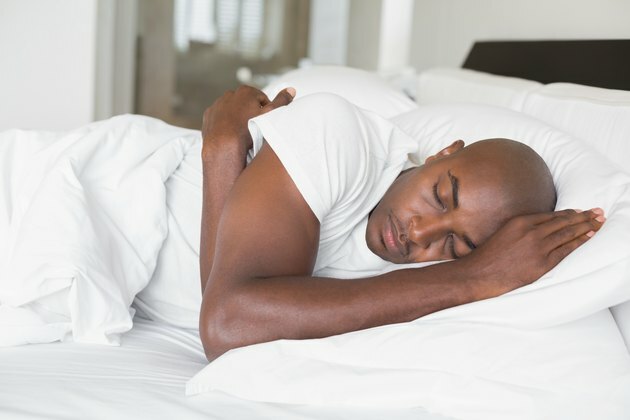 Sleep apnea — episodic pauses in breathing during sleep — may also cause IDH by excessive arteriolar narrowing and reduced fluid excretion by the kidneys. The increased heart rate often seen in people with the syndrome may contribute, as it shortens the time between heartbeats so the blood vessels spend more time exposed to the extra blood flow accompanying each heartbeat. Excessive daytime sleepiness is suggestive of sleep apnea syndrome, but a sleep study is required to diagnosis the disorder. Chronic excessive alcohol consumption can also lead to IDH. This may be especially likely if liver damage occurs, since angiotensin is usually degraded in the liver. IDH may also be caused by medications, such as oral contraceptives, corticosteroids or non-steroidal anti-inflammatory drugs like ibuprofen. Certain risk factors have been identified for IDH. They are not a direct cause, but their presence increases the likelihood of developing IDH. Risk factors identified in the large Framingham Heart Study published in March 2005 in Circulation were younger age, being male and being overweight or obese. Regardless of the cause, IDH should not be ignored. In many individuals, the systolic pressure will also become elevated over time. In the Framingham Heart Study, 83 percent of those with IDH developed mixed hypertension over the next 10 years. Even if it doesn't progress, IDH itself increases the likelihood of serious cardiovascular complications. A study published in the March 2014 issue of the Journal of Hypertension noted that adults with IDH had double the risk of cardiovascular complications, including heart attacks, strokes or heart-related death, compared to normal-pressure adults. Updated 2017 guidelines from the American College of Cardiology and the American Heart Association recommend treating all individuals with a diastolic pressure of 80 mmHg or greater, regardless of whether the person has IDH or mixed hypertension. Strategies to lower blood pressure may include weight loss, dietary changes, exercise and medication. Reducing other risk factors for cardiovascular disease by controlling blood sugar and cholesterol levels is also important. IDH itself generally causes no symptoms. Headaches, nosebleeds and other symptoms are sometimes attributed to high blood pressure, but they're just as likely to occur in people with a normal pressure. Seek immediate medical attention if you develop chest pain, shortness of breath or lightheadedness, or have a sudden onset of weakness, change in speech or decreased level of consciousness. These may indicate the presence of a life-threatening complication of IDH, such as a heart attack or stroke. Kaplan's Clinical Hypertension, 11th Edition; Norman M. Kaplan, M.D., and Ronald G. Victor, M.D. Mayo Clinic Internal Medicine Board Review, 9th Edition; Amit K. Ghosh, M.D. Pathophysiology of Heart Disease, 5th Edition; Leonard S. Lilly, M.D. The Journal of Clinical Hypertension: Clinical Practice Guidelines for the Management of Hypertension in the Community: A Statement by the American Society of Hypertension and the International Society of Hypertension.